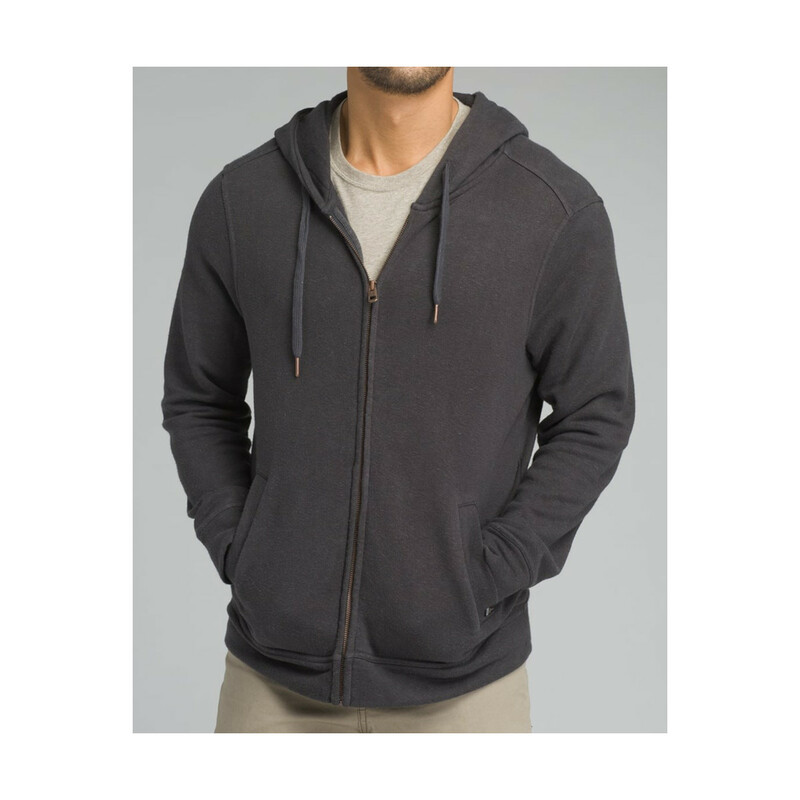 The PrAna Outlyer full zip hood is a Cardiff fleece sweater hoodie with the touch of nature. 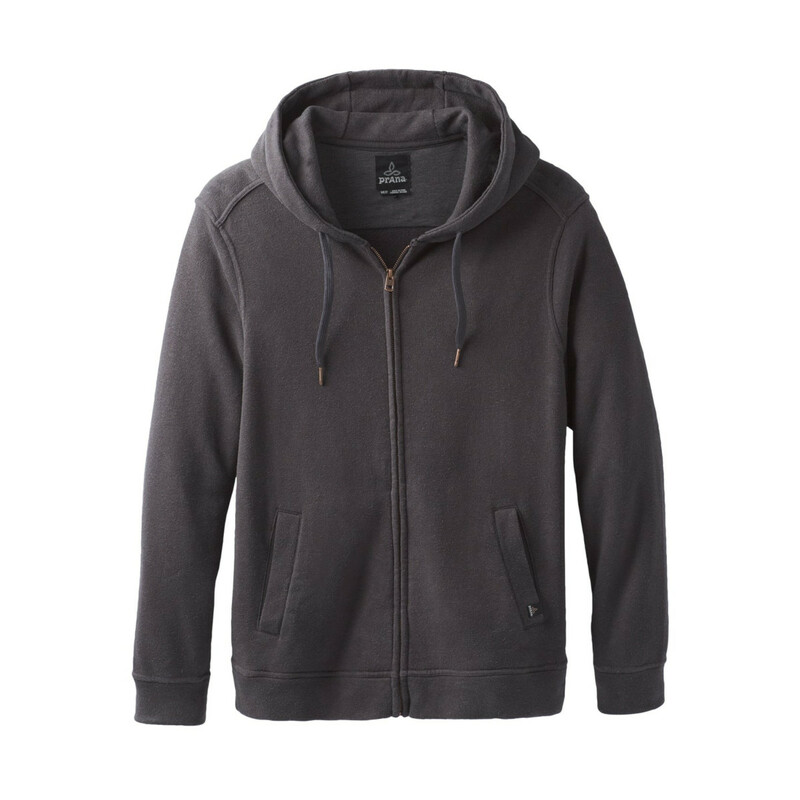 Made from recycled polyester, Tencel (a natural fibre derived from cellulose found in wood pulp) and hemp, one of the eco-friendliest textile fibres in the world, hemp is a very robust plant and can be grown without chemical pesticides or fertilisers, resulting in better health and safety for farmers and fertile soils. 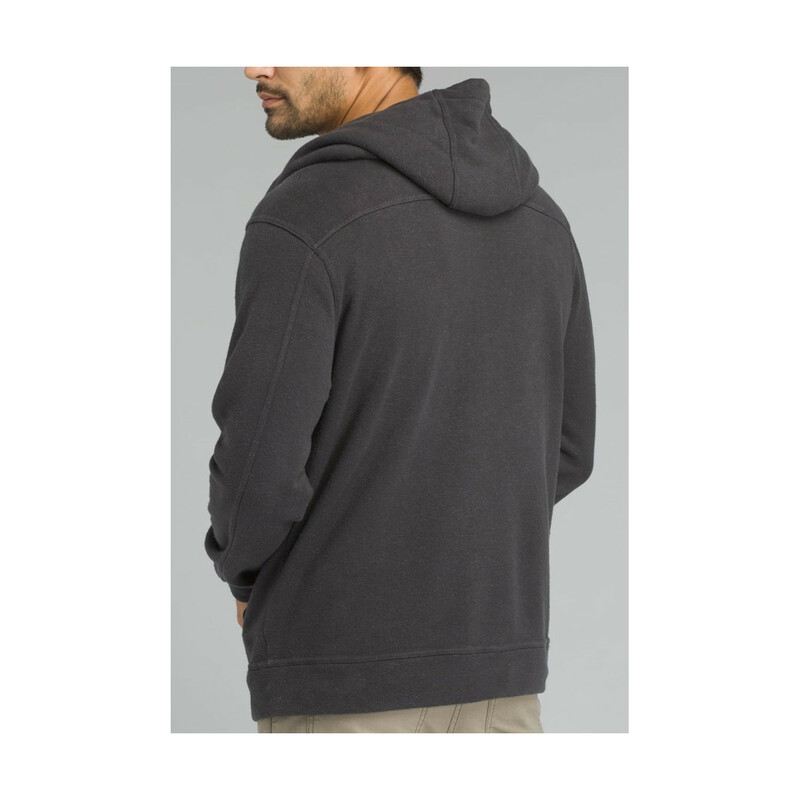 The durable, fleecy and green fabric is lightweight, quick drying and breathable, and it washes well . A cozy, go-anywhere mid-layer, for post-yoga, workout or send, be part of the sustainable clothing movement.